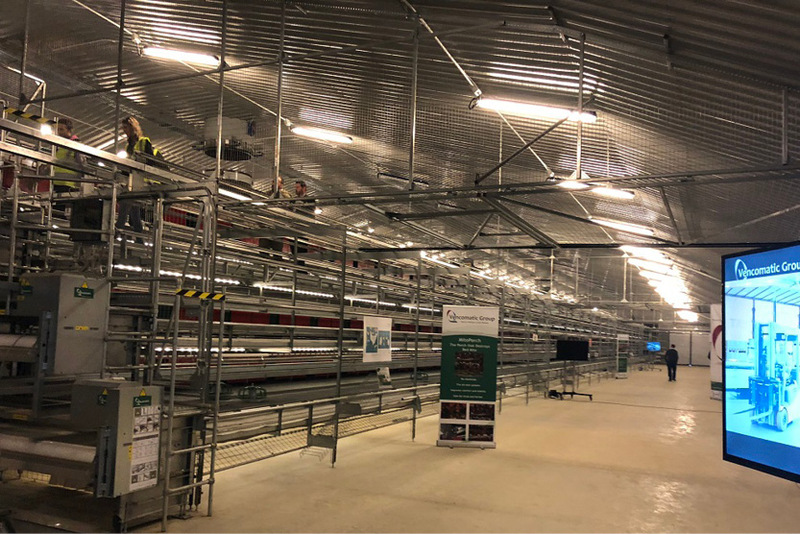 A new commercial poultry farm is being developed that is set to be the first in the UK to be accessible to the public. Vencomatic Group is behind The Northern Poultry Campus, which is set to open in 2020. The North Yorkshire facility will include a café and a gift shop for visitors and aims to increase transparency around egg production by showing consumers exactly where their eggs come from, and how birds are treated. It also aims to provide a pipeline of skilled workers into the industry by creating a venue and learning facilities for local agriculture colleges. The campus will be located at Sally Farms, a new 600-acre poultry farm that opened in October 2018 in Helperby. The unit will house up to 64,000 birds, with 80 acres of outdoor space. Lloyds Bank Commercial Banking’s York-based agriculture team provided Vencomatic with an £8.1m finance package to purchase the land and develop the commercial and public-access units. The unit showcases Vencomatic’s latest innovations in bird welfare including the Veranda Gallery nest, designed to exceed RSPCA standards in perching and nest availability. The nest incorporates the Miteperch which destroys red mite without chemicals, and welfare ramps which are proven to reduce keel bone fractures by 23%. Environmental enrichment is provided by Pecking Pans and the Forager, to encourage natural behaviour and reduce injurious pecking. Production efficiency is maximised through the reduction of feed and energy costs, and in labour-saving initiatives. A uniquely-designed feed trough minimises feed wasted during selective feeding and Alt-Energi’s highly efficient ‘Energi Pod’ ground source heat pump combines with the vencomatic ‘Eco Unit’ heat delivery system to maintain constant poultry house temperatures and reduce dust and ammonia emissions. System and floor eggs are significantly reduced by the sloping floors and scraper systems incorporated in the nest – minimising the labour time spent retrieving them. The high-speed packing and high-level palletising provided by the Prinzen Timeline further reduces labour costs, only requiring the transport of complete pallets every hour. The campus will also allow scientific studies in controlled, commercial environments – initial studies are planned in temperature, lighting, non-beak trimming and ammonia and dust emissions.